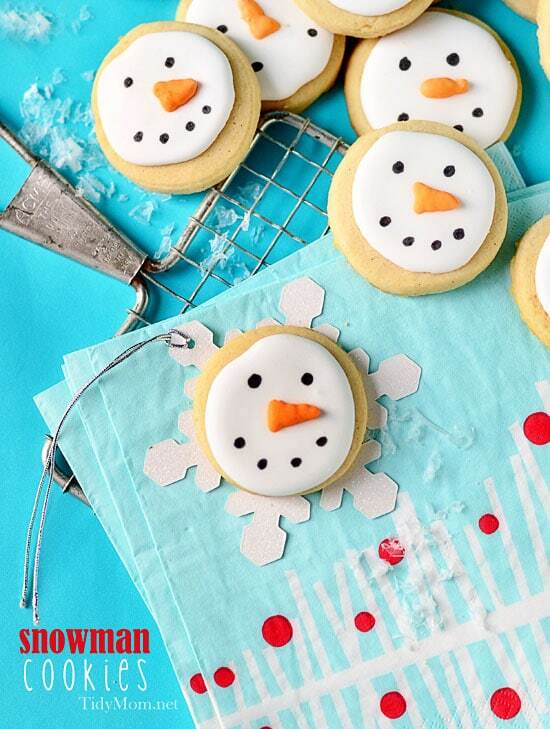 Make a simple and fun decorated snowman cookie with royal icing. As I write this post, just 3 hours earlier it was 56° outside…….and now there are blustering wind gusts of 50 mph and snow blowing like a blizzard! That’s living in the Midwest for ya! We are only supposed to end up with a dusting of snow in St. Louis, but it’s the first taste of winter we’ve had and the perfect day to share my snowman cookies I made last week. I LOVE to decorate cookies with royal icing, but I don’t always have the patience or talent for it like some who make it look SO easy. December is such a busy time in the kitchen, so I like to make my decorated cookies simple, like the Santa Belly Cookies I made a few years ago. 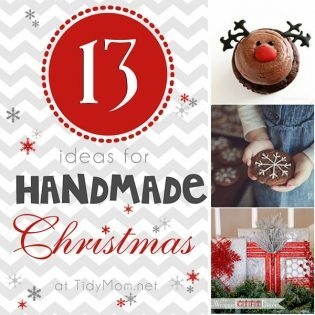 This year I went about as simple as you can get! 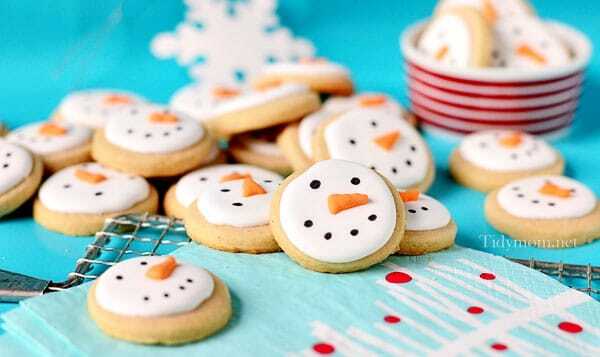 Mini Snowman face cookies. Let the white dry for about 30-60 minutes. Add orange color to remaining white icing, again, using the 20-second rule for consistency. Place in an icing bag with coupler and #3 tip. pipe a “carrot” nose in the center of each cookie. Let dry overnight. That’s all there is to it! I love that I only had to mix one color. At first, I was a little disappointed in the fact that I could not make a nice even circle to save my life with the icing when my sweet hubby reminded me that he’s rarely seen a snowman with a perfectly round head 😉 So don’t worry about perfection – everyone will love them! 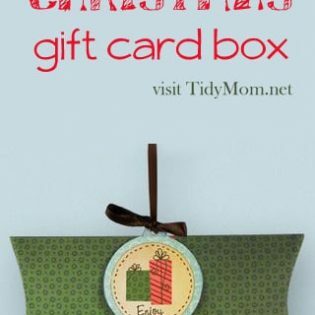 Box them up or put them in a jar with a ribbon and they make adorable gifts! So how about you? Have you done any cookie decorating this holiday?